Iran’s President Hassan Rouhani said he would not allow President-elect Donald Trump to tear up the 2015 nuclear agreement and warned of “bitter response” if the next US administration failed to honor the deal. “He [Trump] may want to do many things. He may want to weaken or rip up the JCPOA [Joint Comprehensive Plan of Action]. But would we and the [Iranian] nation allow this? America cannot affect [Iran's] strength and defiance,” he told a gathering of students and lecturers at the University of Tehran on December 6. Rouhani also denounced the renewal of the Iran Sanctions Act (ISA) by the US Congress. “If the US president signs this legislation and then suspends it, we will still consider this as a breach of the JCPOA. We will respond to even this degree [of violation],” he warned. However, Rouhani’s remarks were not just aimed at deterring the incoming Trump administration from reneging on the nuclear agreement. The president’s main objective was to calm the growing apprehension at home about the future of the accord. 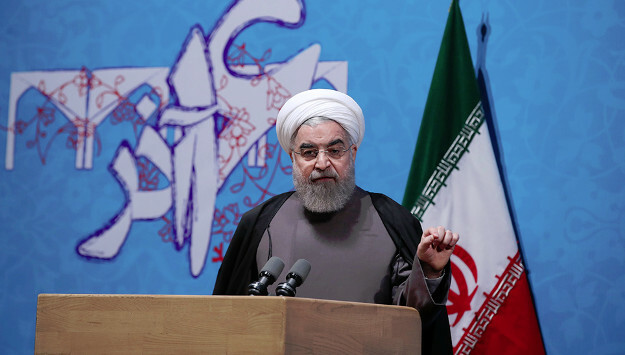 By vowing a strong response, the Iranian president was also trying to placate his hardline critics who blame the Rouhani government for trusting Washington and signing the deal. Iran’s Supreme Leader Ali Khamenei, who supported Rouhani’s nuclear deal with world powers, recently warned that Iran would strike back if ISA was renewed. At this point, it is not certain what Iran’s response would be. Some Iranian lawmakers have asked the government to resume nuclear activity in response to ISA’s renewal – a suggestion the Rouhani government is unlikely to accept. Rouhani said he would announce Iran’s specific retaliatory measures to ISA’s renewal after meeting with a committee that is responsible to oversee the JCPOA’s implementation on December 7.